Welcome to Sierra Oakhurst Kiwanis! Make a difference to the kids in the community! One of the goals of Kiwanis is to enhance the community and the best way to do that is to enhance the children. When you give a child a chance to learn, experience, dream, and succeed, great things will happen. The needs of children are the number one priority at Kiwanis. 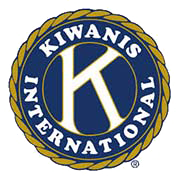 Kiwanis was founded in 1915 and today has over 600,000 members and 15,000 clubs that serve in 90 countries around the world. Community projects include: pancake breakfasts, athletic scholarships, mini-grants, citizenship/attendance incentives for local elementary school students, fundraising for all local schools, Kids Day Distribution, Children’s Hospital Miracle Mile of Quarters, Relay for Life, Scouting programs and much more. Over the years, Kiwanis members have donated generously to the Children’s Museum, Manna House, Oakhurst Library and Special Olympics. A typical Kiwanis club is a snapshot of its community, with members from all walks of life and at every step of the career ladder. They are unified in their belief that children and their communities benefit from the efforts of a proficient group of caring and involved volunteers. Our Biggest Fundraiser is our Annual “Run for the Gold” Car Show on the Friday and Saturday after Labor Day. This show enables the Kiwanis to donate in the form of Mini-Grants to our Elementary and Intermediate Schools in Eastern Madera County. Be part of the Kiwanis Team – make a difference to the kids in our community, reach out to those in need, volunteer when you are able. The Sierra Oakhurst Kiwanis club meets every Tuesday at Noon to 1pm at the El Cid’s Mexican Cuisine at 41939 Hwy 41 in Oakhurst. Interested Visitors are welcome to come to our meetings and meet the members. We have a guest speaker at most every meeting.